The women of Keeping Up With The Kardashians are tabloid staples, but lately the person that seems to be in the press the most is patriarch of the Kardashian-Jenner clan, Bruce Jenner. 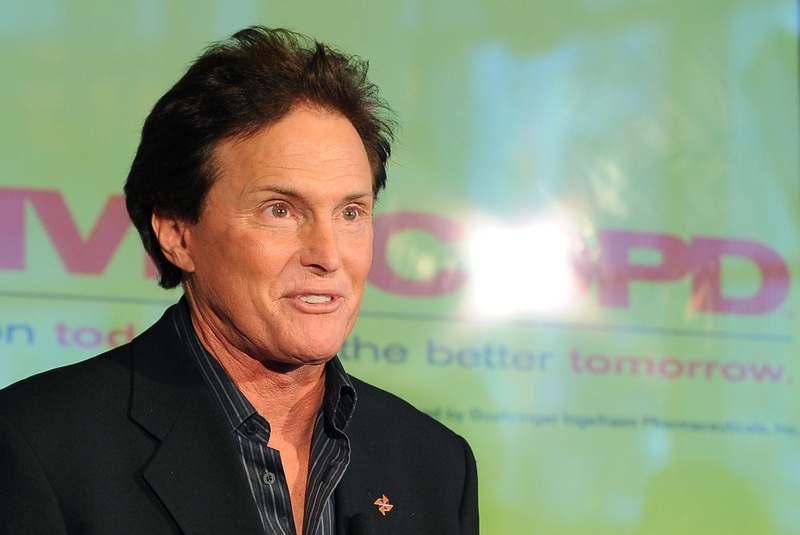 The former Olympian and ex-husband to Kris has recently made headlines for his altered appearance, which sparked rumors that Jenner may be preparing to come out as transgender. The rumors intensified when it came out that Jenner would Bruce Jenner would give an exclusive interview to 20/20's Diane Sawyer about a topic that has yet to be released to the public. The interview is scheduled for Friday, April 24, and according to a new promo for the special, the interview will reveal the "major decision" that Jenner has made in his life. The new promo doesn't tell us very much about what to expect from the interview, but it does hint that Jenner is ready to share some very personal things with the world for the first time. In the 15-second clip, Jenner tells Sawyer "My whole life has been getting me ready for this," though he does not elaborate exactly what it is that his life has prepared him for. The voiceover within the preview tells us that the interview will discuss Jenner's "journey," "decisions," and ultimately his "future." Clearly Jenner is now ready to discuss something very important and very personal with the press, and whatever it is that he does open up about, it's good to know that he did so when he felt ready, and not when the press pressured him into speaking. Jenner says he has been waiting his whole life for the moment we'll see in the interview, and I hope that whatever it is he discusses with Sawyer will bring him happiness. Tune into the interview Friday, April 24 at 9PM on a special edition of 20/20 on ABC. Editors Note: Until/unless Jenner has personally confirmed the transgender rumors and the intention to begin presenting as a woman, Bustle will continue to refer to the track star as a man and father, using male pronouns. Jenner deserves the courtesy of being able to “tell his story his way” when ready, as step-daughter Kim said, and Bustle will only make those changes if/when Jenner confirms.